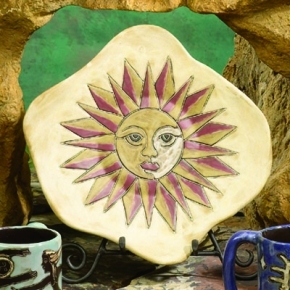 Mara Stoneware offers a wide selection of southwest designs ranging from mugs, dinnerware sets, dinnerware accessories, pitchers, decanters, tea sets, pet dishes, serving platters, steins, tile and trivets and many more. 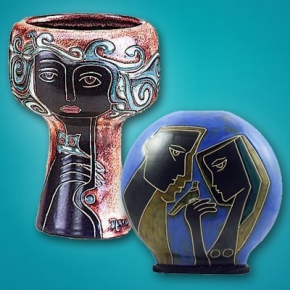 Each piece is carefully engraved and painted by hand. 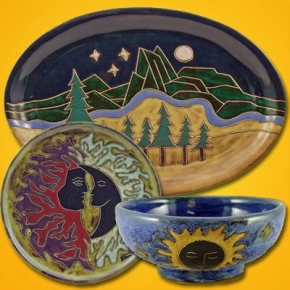 These custom pieces are fired at high temperature with lead-free glazes and are microwave and dish-washer safe for the ultimate utility in functional art. 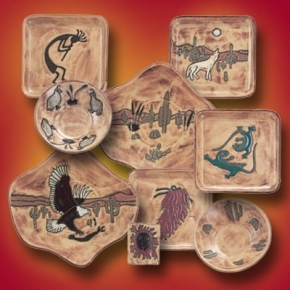 Every piece can be used for food or drinks and serve as an artist masterpiece as your tableware. Mara uses simplification to give life to her designs. 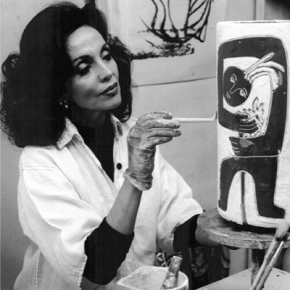 Her glazes are unique for their quality and color and her fine lines blend shape and essence into images that flutter between realism and abstraction. 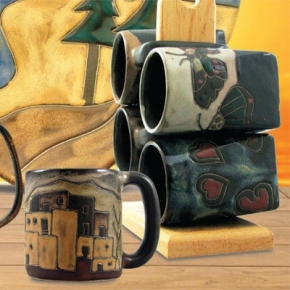 Bring southwest art into your home with Mara Stoneware!